HVL second Stateline Rd entrance - Lakeview to R on Alpine, L on St Moritz, end of cul de sac. 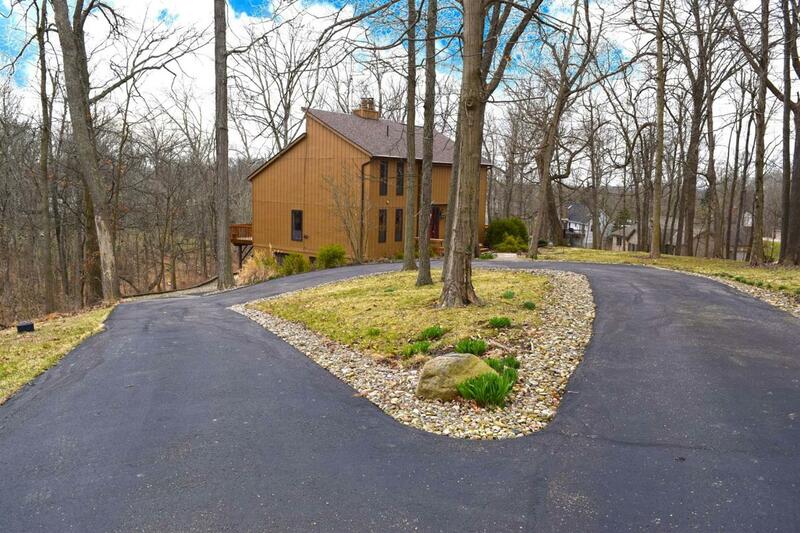 This 3 Bed, 3 Full Bath Home has AMAZING VIEWS & lots of PRIVACY, sitting at the end of cul-de-sac on 1.21 AC! Gorgeous curb appeal w/blacktopped circle driveway, home offers capability of 2 Master Suites, & 2nd floor laundry! Great deck space to enjoy scenery! 2 Woodburning FPs to cozy up tp on snowy days, overlooking beautiful wooded valley! This listing courtesy of Angela Huddleston (513) 260-8634, Lohmiller Real Estate 513-371-5468.